Lets face it January and February are the dullest and greyest (is that an adjective?) of all the UK winter months. No wonder we all get so excited when the bright yellow daffodils finally emerge, colour! The power of colour should never be underestimated. In fact wearing Pantone’s colour of the year Living Coral, took me by surprise last week. It made me feel cheerful when I wore it! Disclosure/ AD/ This post is not paid or sponsored, but does contain affiliate links which means if you click through & buy I may receive a very small commission at no extra cost to you. The power of colour should never be underestimated. Living Coral is evocative of how coral reefs provide shelter to a diverse kaleidoscope of colour. Surprisingly I found at least four pieces of Living Coral already in my wardrobe. Sharing with you a much loved and well worn jumper from ‘And Other stories’ I will share a sleeveless coral dress with you, also from ‘& Other Stories’ when its warmer! I bought this knit in the sale last year, I buy winter stuff in the summer sale and summer stuff in the winter sale, then save it to wear for later. I teamed it with a pair Marks & Spencer’s ecru (not white!) wide cut, high waisted, slightly cropped jeans. By the way, I also have these in dark Indigo, both purchased last year. They kept selling out so keep trying ! 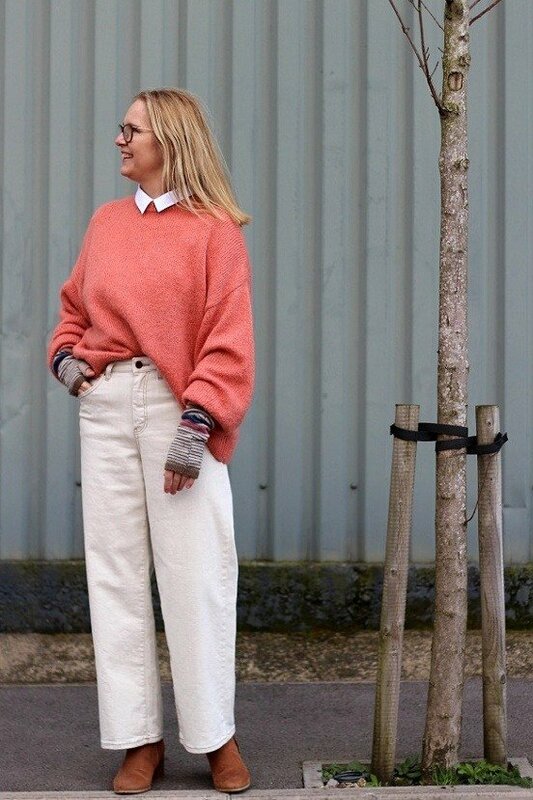 …an old favourite a well worn and much loved over-sized jumper from & Other Stories. & Other Stories: Cropped knit with cinched ribbing at the bottom hem. Features a ribbed high crew neck. JD Williams soft suede leather pull-on ankle boots with block heels. 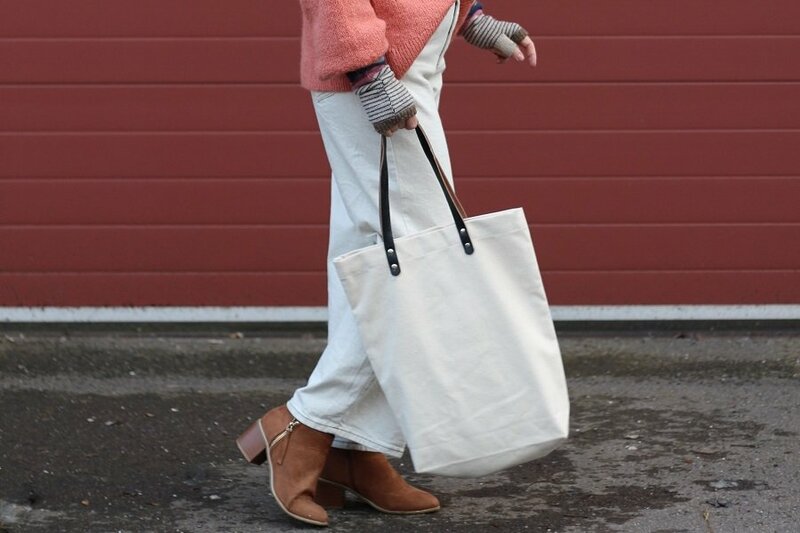 These are the perfect pair of boots to wear with your favourite denim or with a dress for a boho look. Previous Post Superb Beauty Product For Mature dry skin, Have You Heard Of Keratosis Pilaris? Next Post Our Home: Eclectic Industrial Lighting made by Marc. Hello Maria and yes I too wasn’t sure about it, but to my suprise I had quite a few pieces in my wardrobe already! Color makes me happy! I love the bright and cheery aspect of it. 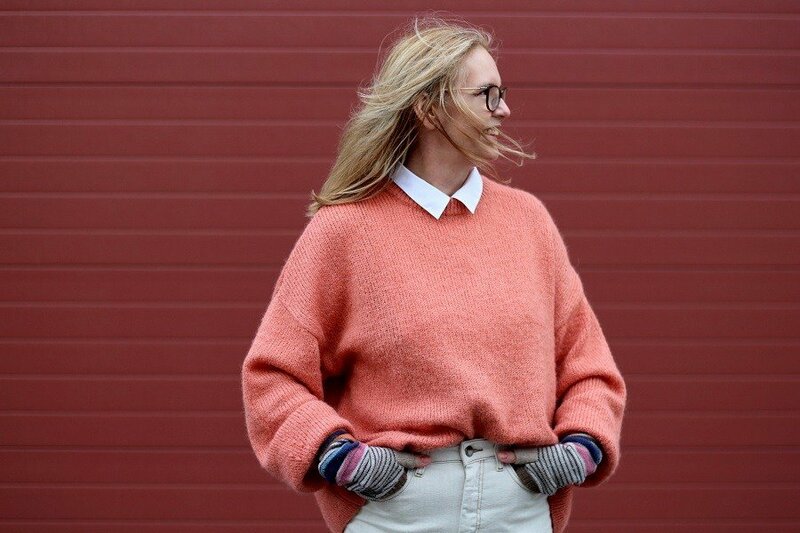 Your coral sweater is beautiful and really suits you! It has me dreaming of Spring. Maureen hello and thank you for the lovely compliment! It really suits you! The color is so soft and spring ish! Beautiful! Thank you Nancy wait till you see the dress I have had it for years ! 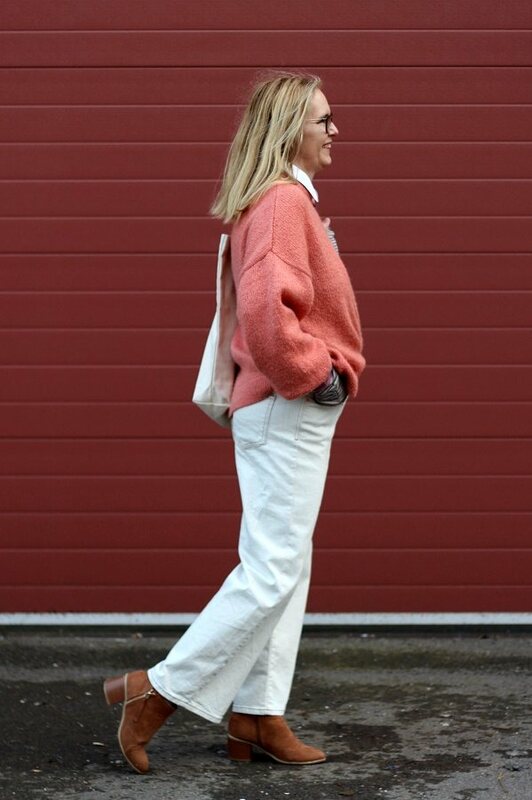 Great styling of that salmon sweater. Love the look. Thanks for sharing! Thank you Nicole I’m loving this years colour of the year ! Coral is a colour we need to see you wear more often. It really suits your complexion. Hi Jill you are very kind to say so thank you very much, I do enjoy wearing shades such as these. Have a super week, I hope the sun is shing for you?